I am a happy woman! Yesterday, thanks to the NUT*, Number Two Daughter and I managed to sneak a mid-week visit to Packwood House, which is hidden away in rural Warwickshire. 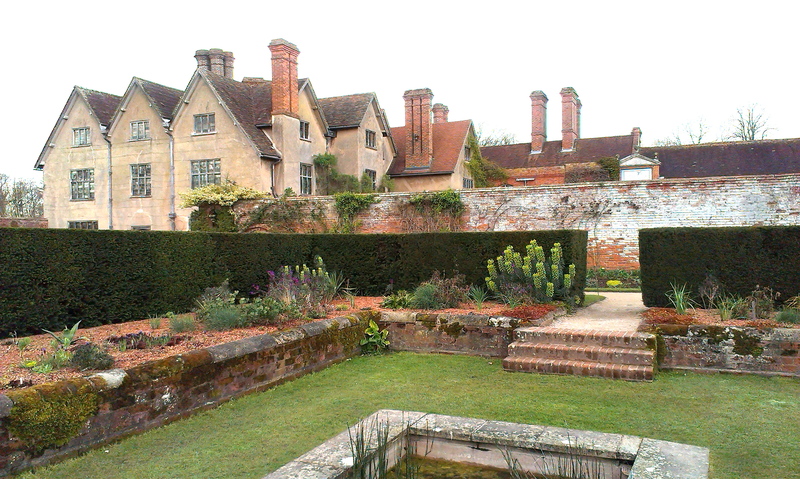 Do you ever go into a historic house and think ‘oh yes, I could live here’… Well Packwood is one of those for me. Ever since my first visit way back in the 1970s, I’ve loved it. It isn’t particularly big, just your average Tudor manor house, and it isn’t what you could call altogether authentic – a sizeable section was added when a barn was converted into a hall last century. But none of that matters, because it has the most enticing atmosphere. It feels like a very sociable family home. The sort of place you’d love to invite your friends to for weekends and parties and lounging around in the garden in the summer. So yesterday we braved the arctic wind and occasional hail showers for a visit. Unfortunately the weather wasn’t one my side so far as taking pictures was concerned. Outside was just toooooooo cold – finger freezing temperatures, so I only managed a few snaps before we headed off to the new cafe to warm up, and inside was really too dark for my poor phone to cope. I’ve done what I could to brighten the pictures, but you know how it is. Just don’t let any of that put you off going. I know it looks gloomy, but it really isn’t, it’s actually a fabulous place, warm in spirit if not in temperature! the long gallery – not contemporary with the house, but I could live with it. Pity the light was so poor, or I’d still be there photographing the needlework and woven tapestries. Well, I shall continue to have a very soft spot for Packwood. It may have far more Bargello than is good for you, but who’s complaining. The gardens and the yew trees are really worthy of a post all of their own, but I was far too cold and it was too early in the season to do that yesterday – so yes, I’ll just have to go back again in the summer! * the girls’ school was on partial shutdown due to the one day strike yesterday by members of the NUT. 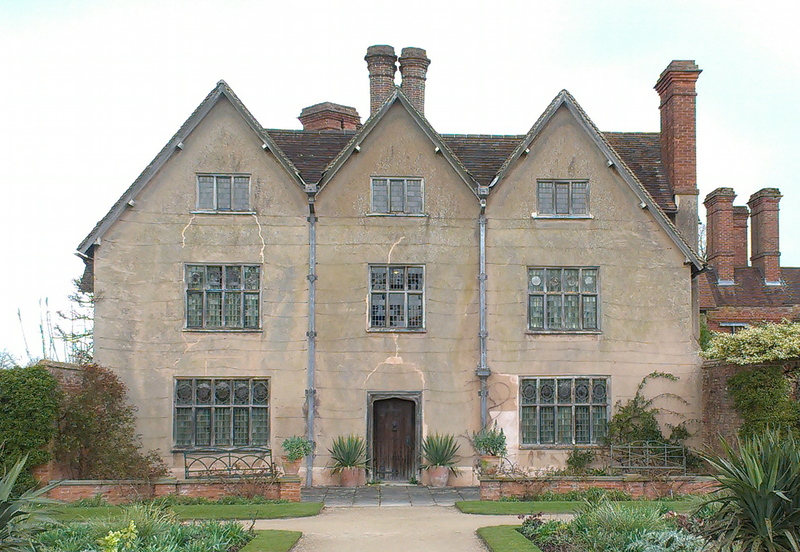 The National Trust pages for Packwood are here. Do check the opening times if you’re planning a visit.